Check your expectations at the door. Deborah “La Cocodrila” De La Torre may be a Latin jazz pianist, but her latest album, ¡Coño! (But with a Swing) goes much deeper than the title implies. And it does so without the vocals a certain reviewer was anticipating. So much the better. De La Torre’s nickname translates to “Lady Crocodile,” but all that bite is reserved for taking chunks out of her piano, for which she shows raw aggression (where needed), deft touch, and a great sense of musical joy that translates easily to the listener. 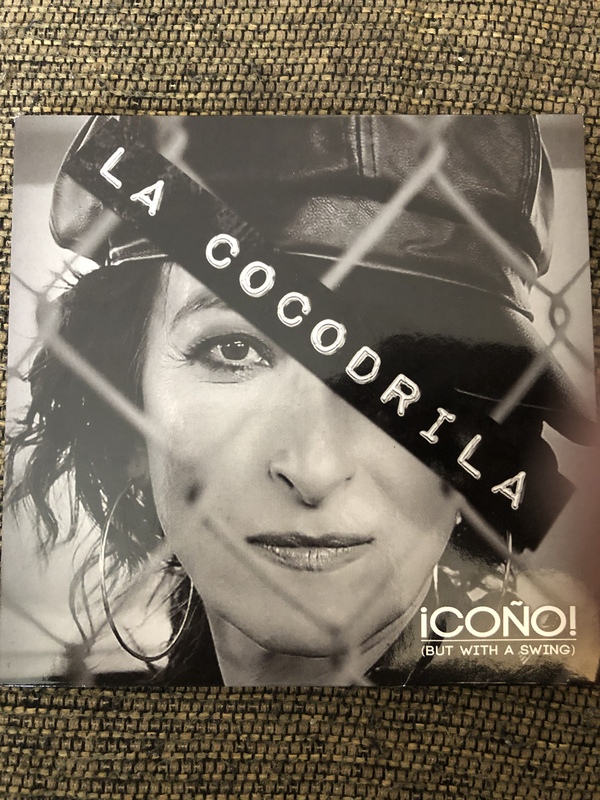 The album’s title (which means “Damn!” in Cuban Spanish) is also quite appropriate, as this reaction is elicited on more than one occasion from La Cocodrila and her top-flight rhythm section. The band could have taken a headlong dive in an obvious direction. Instead, they chose to embody jazz from many different scales, chord changes, and rhythms seemingly designed to keep the audience off-balance, particularly if they were looking for the basic good beat they could dance to. That being said, the Latin influence is all over this album, making traditional jazz sound a bit more exciting. Whether it’s on the opening “Bop Bop Bop Bop,” or the highly syncopated (but musically thrilling) “Dulce y Caliente,” ¡Coño! has no problem reminding you of where it comes from even as it fails to define where the music is headed. Bassist Ron Bland and percussionist Thomas A. Blomster make the most of the groove while De La Torre plays over, around and through it. The band is nicely augmented by Patricia Surman (flute), Randy Runyan (trumpet), Dave DeMichelis (guitar), and Rodney Farrar (cello) in key places, giving the listener a bit more to study. The melodies are enjoyable without being overwhelming, making it worthy of repeated listening. This album is, to be certain, a great musical adventure. ¡Coño! is the perfect reaction. Check out my book, I Can’t Be the Only One Hearing This: A Lifetime of Music Through Eclectic Ears. It’s available from Amazon, Barnes and Noble, and other fine bookstores.